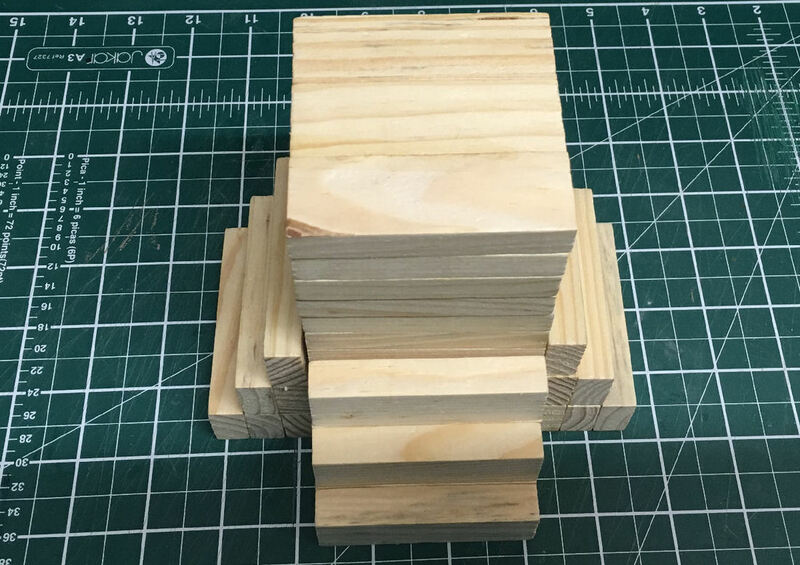 Dungeon stackers are not a new idea, they're a variation on my original dungeon blocks that are designed for better versatility with just a single stepped shape design that allows for many configurations. 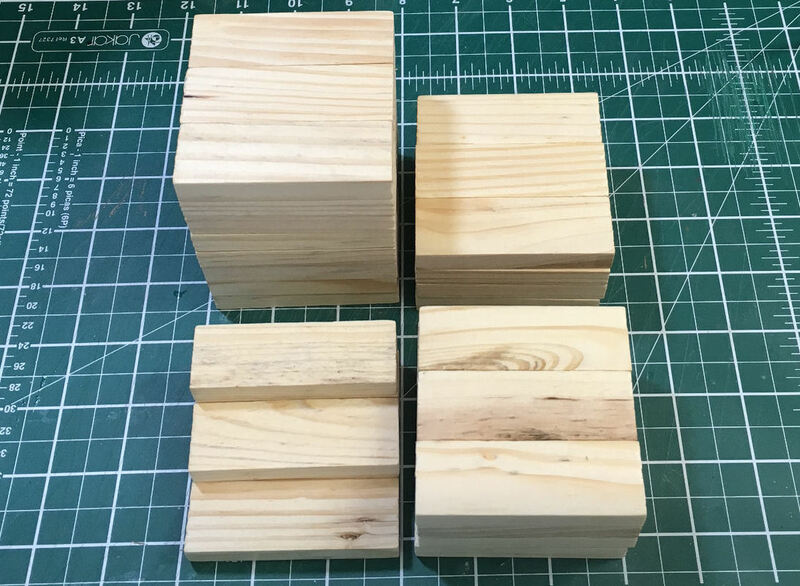 The pieces can be stacked to make variously sized rectangles to represent raised areas and each individual piece can represent a set of steps. 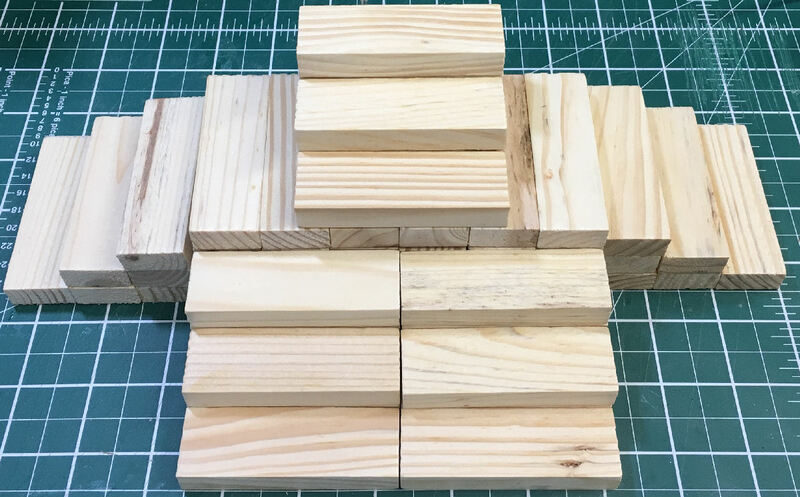 ​As my starting point I bought a really cheap Jenga knock-off from eBay for under £5.00. This gave me 54 wooden blocks each measuring 72mm x 23mm x 12mm. 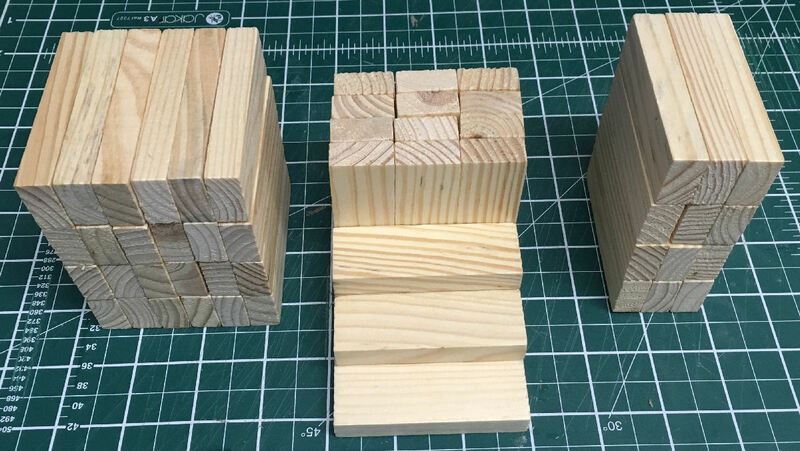 I glued each set of six blocks into a step shape using super glue. The completed step shapes can be combined to make all sorts of raised areas and steps configurations.